NEWTECH wants to be the World’s recognized manufacturer of Machinery for the Screen Printing, Heat Transfer and Article Decoration Industry. We are committed for the Continual Improvement of QMS. We stress to upgrade Technology, Knowledge, Skills and utilize full potential of our Employees. Our Prime concern is Customer delight through supplying innovative products & meeting Clients expectations ON-TIME. Highly experienced in the field, Newtech has proved its capabilities in special type printing, decoration and automised machineries. Its manufacturing plant covers more than 20000 sq.ft, with highly skilled, motivated and efficient Work Force. The use of latest Computerised technology right from the base level to highly sophisticated CAD/CAM designing helps in achieving a High Consistent Quality Product. 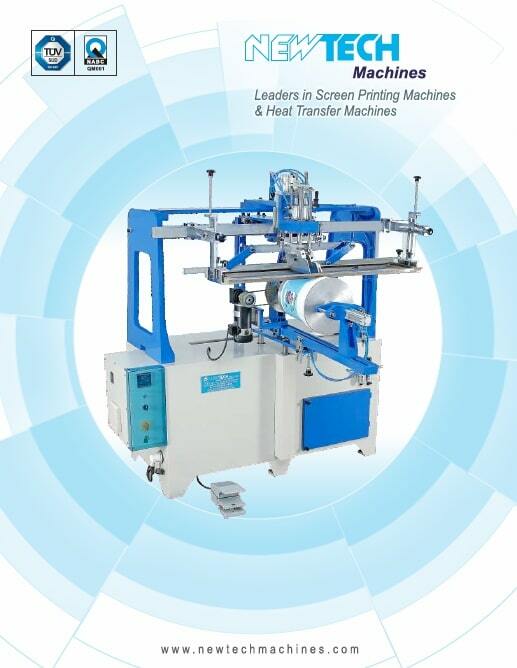 Newtech also uses facilities at its own group Company “Makers Polyfilms Pvt. Ltd. ” – which has invested in world class manufacturing of Heat Transfer Labels/Foils, Shrink Sleeves and IML. By making the labels and machines, a unique solution is provided to the customer – there by enhancing application experience and product decoration. This helps us in understanding the Customer needs more precisely, and matching Customer expectations.